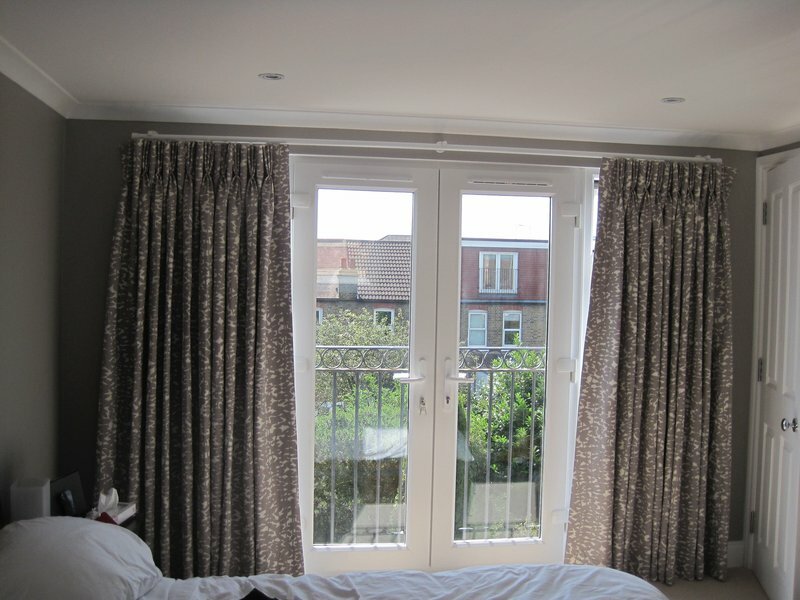 I specialise in high quality hand sewn made to measure curtains, blinds and soft furnishings. 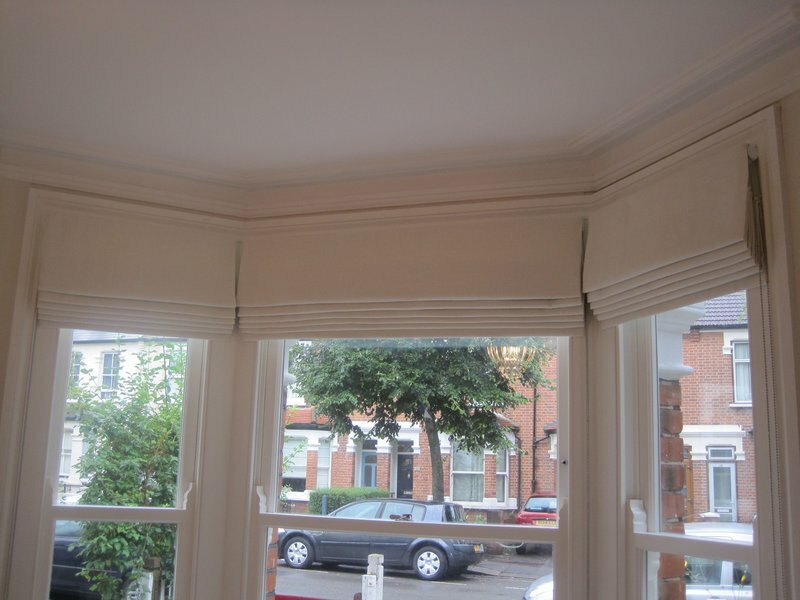 My curtains and blinds can be interlined, lined or lightweight. I use the highest quality linings and interlinings and carefully sourced high quality tracks and poles. I am happy to help you choose a fabric which would suit ether traditional or minimalist interior settings.I will also help my clients to find fabric,tracks and poles to suit their budget. 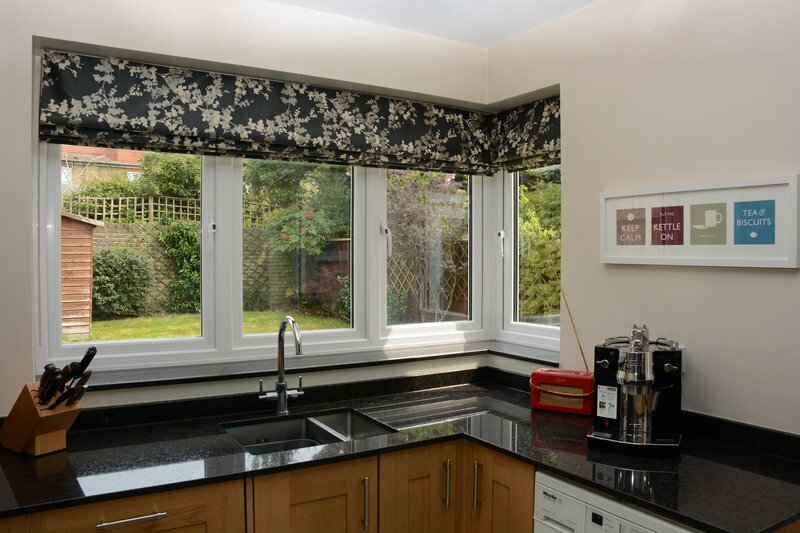 I am equally happy to refresh a single window or to undertake a total refit in which case I can work alongside your builder or project manager. We have now worked with Zanda, on a variety of home projects, for nearly 3 years, returning to her for her consistent, quality, flexible approach. She has worked with us across five separate room projects, from overhauling sticky curtain tracks, via making individual bespoke soft furnishings (including 8 cushion covers, 2 Roman blinds, a box pelmet and a stool cover) through to a complete room scheme (consisting of a complex bay window box pelmet, 3 Roman blinds, 2 faux curtains with tiebacks, shaped bench seat cushion with cover, loose cushion with cover, table cover, table runner, 6 chair covers and 2 seat pads). For the most part, we have sourced and provided her with the fabrics but she has complemented our ideas and design resources by suggesting and procuring additional trade-only trims and accessories which have added the finishing touches to our schemes and on which we would have missed out but for her. Nothing we have asked her to do for us appears to have fazed her and she has always been personable and positive in her approach. She has an encyclopedic knowledge of the interior design world, coupled with a practical, hands-on, can-do attitude, which results in professional schemes, expertly executed, delivered on time and on budget - and contented clients. We are happy to recommend her wholeheartedly and intend to continue working with her in the future. Zanda made 2 sets of matching curtains for us, for the front room window and for the dining room french doors. 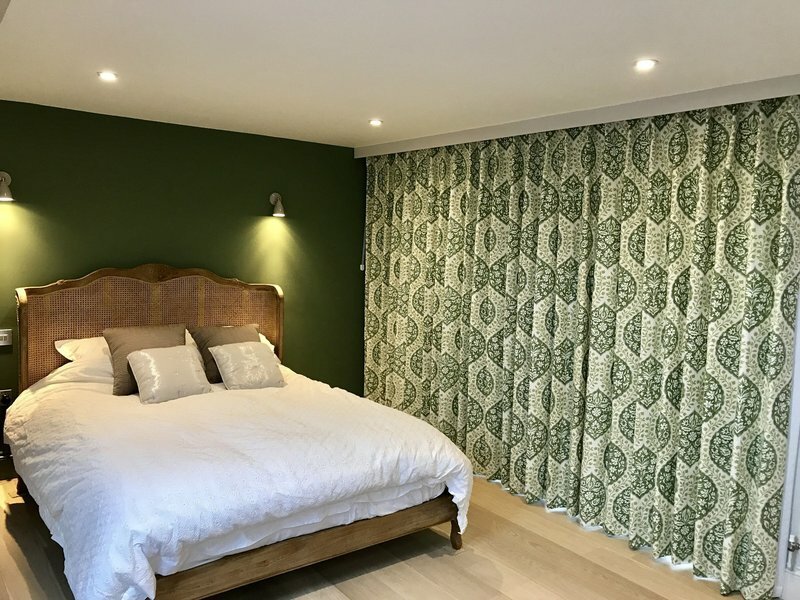 From start to finish she proved herself to be a pleasure to work with, paying great attention to detail, providing sound advice on how best to use the heavy fabric, punctual throughout, with a delightful manner. The end result pays testimony to all her efforts, with many visitors having admired her handiwork. We have no hesitation in recommending Zanda, and we will certainly seek her out again once other curtains need replacing. I found Zanda through Which? My daughter needed 4 large windows dressing and I suggested Zanda. Daughter had some idea what she wanted and Zanda worked with her to refine idea. 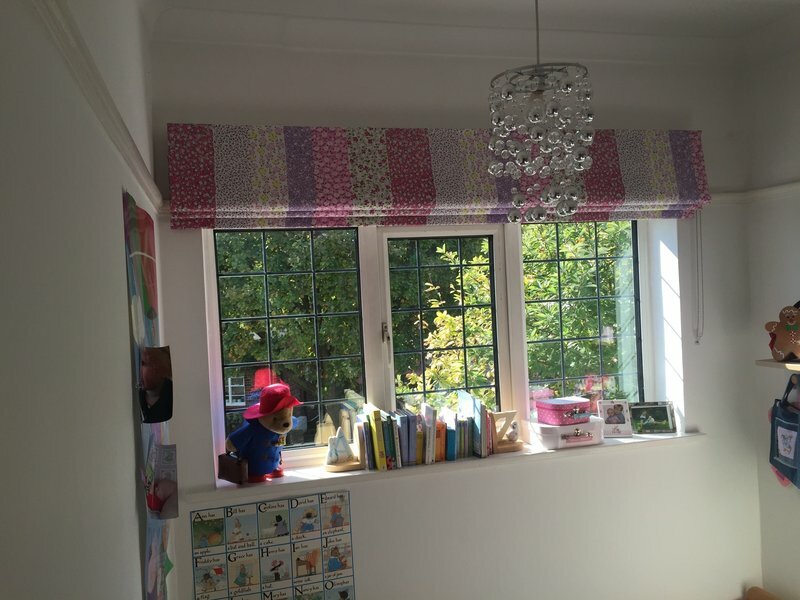 Zanda suggested fabrics and then made 4 blinds with faux curtains. They are very well made and look perfect. Daughter delighted with result and has employed Zanda to dress too more windows in her home. I found Zanda in 2017, when I needed to have new curtains for a rather difficult bay window, and didn't want to risk ruining silks I had bought in India. I found Zanda very efficient, thoughtful and flexible in how she approached the problems this threw up. I have returned to her twice since then, to convert some older much loved curtains for a new space, and this year - to have curtains and blinds to separate off a space in my living room. She was so kind and helpful as I needed to have things ready when I returned home from surgery, helping in so many ways to make it a much less anxiety-laden process than it might have been otherwise. I am very impressed by Zanda's calm competence and good humour - and couldn't recommend her highly enough. Zanda is wonderful and can also work miracles. When we moved house she managed to magically change two curtains into three. I wanted to re-use these curtains as the Designer's Guild fabric was really expensive. I also asked Zanda to make some curtains for my hall and the results are stunning. She provides lots of guidance and advice and delivers a really professional result. I cannot recommend her highly enough. She's a lovely person as well. Many thanks Zanda!! Zanda is a fount of knowledge about curtains, tracks, fittings and linings, and a very pleasant person to deal with. She made and fitted 3 sets of curtains and a Roman blind for us, as well as installing new rails and advising on professional touches that I would never have thought of. Zanda took time to listen to what we wanted, provided prompt quotes, offered useful advice and took trouble to get things right, which shows in the results we got. 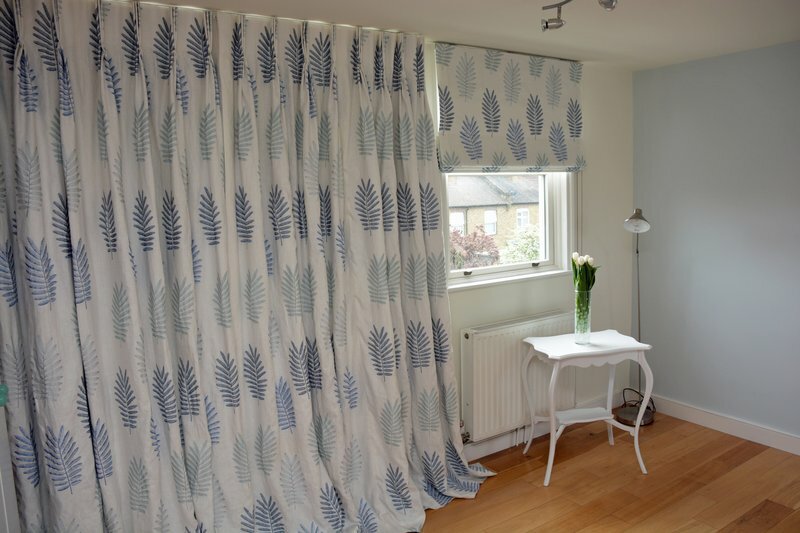 One minor glitch was swiftly sorted out, and Zanda was the soul of helpfulness when I suddenly realised after the decorating was complete that one room needed a Roman blind rather than the curtains we'd been planning. We're very pleased with Zanda's work and will certainly request her help for any more curtain projects. I would recommend her without hesitation. Easy to deal with. Came in on budget. 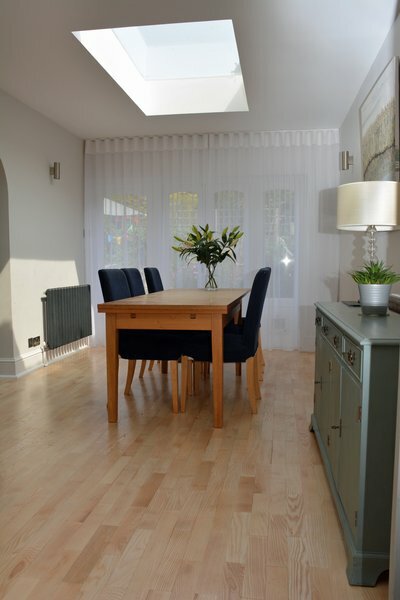 Zanda provided all the curtains and blinds for my house near Bicester. This was a tricky job in a very old house with recessed windows and low cielings. 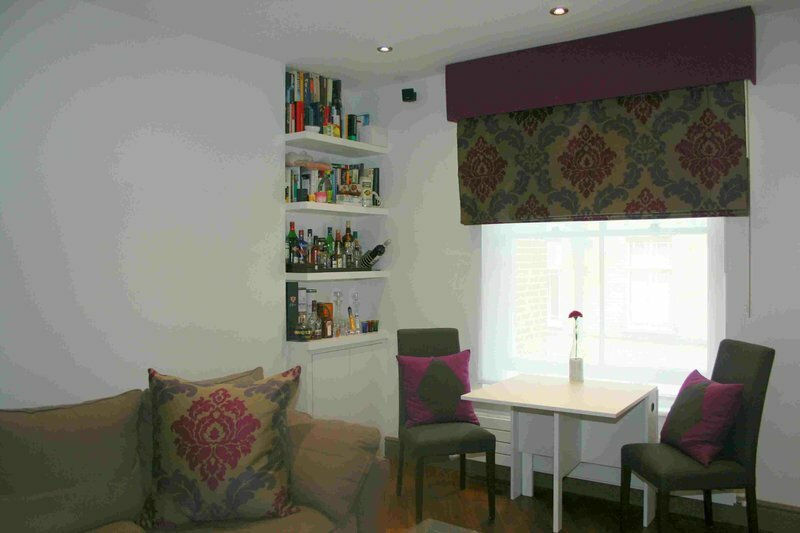 Zanda has also made blinds and curtains for my house in London. In both cases she supplied and fitted tracks and in London also pelmets. Zanda provides advice on fabrics and fittings which I have found very helpful. I am delighted with the the finished results and would not hesitate to recommend Zanda. 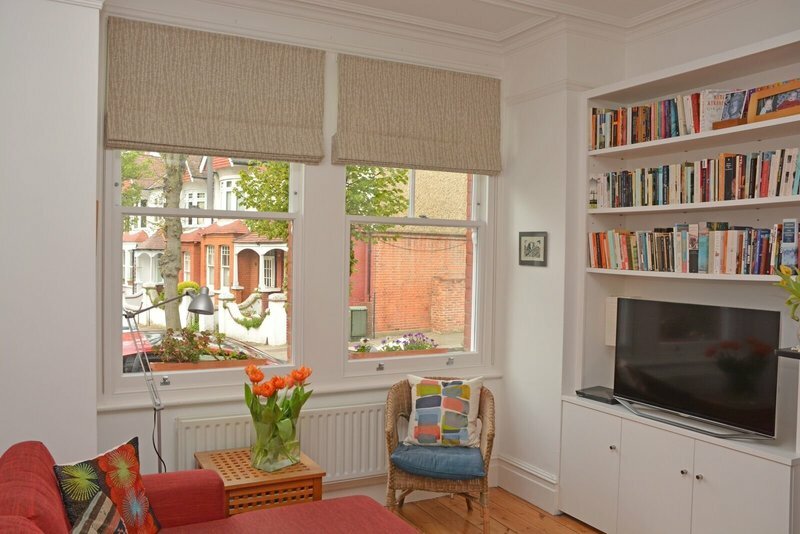 Zanda made new curtains for our French windows and for our bay window. She first sorted out a problem with the curtain rail which saved us having to purchase a new one. She was clear about the options available. She took great care to make the pattern repeat regularly on the folds of the curtains, and they look really beautiful. She was also very pleasant and easy to deal with.